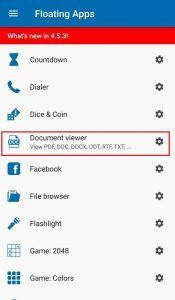 Out of all exciting features that Floating App offers, one is the Document Viewer. It allows you to view your Document files without minimizing the active application on your device. In this way, the aim to achieve multitasking is fulfilled. Consider that you are having a chat with someone, filling an online form or doing some activity that requires you to view your document. Normally, you will have to switch your apps, again and again, to do your task and view the document at a time. Now, this Document Viewer of the Floating App here proves to be saving your efforts and time. You document can be kept floating at some side of your screen, while you can concentrate on your work and take help from the document immediately whenever required. It is very simple to use but requires two additional modules to be installed on your device. When you will open it from the Floating App, you will be offered to download those modules by pressing the button that will redirect you to the module page at the Google Play Store. The point which has to be noted here is that both the modules should be installed in the internal storage of the phone, not the external storage. These modules (Floating PDF and Floating Documents) are basically the apps that are responsible to open the document files for you. 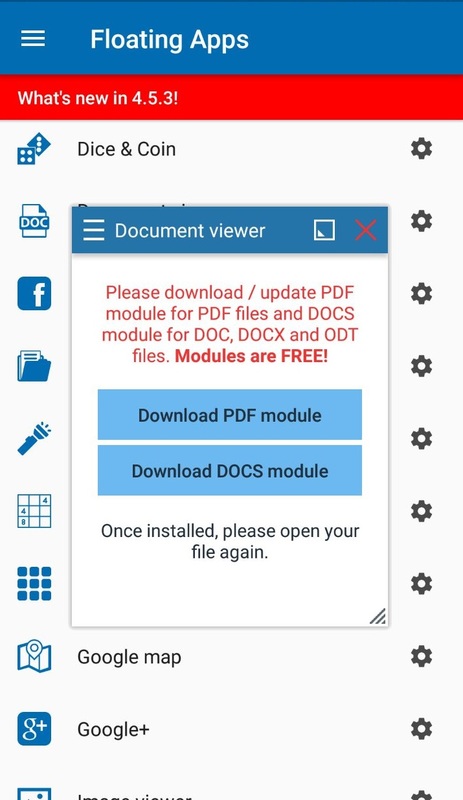 Once these are installed on your phone, you can use the document viewer option in the Floating app to float your documents. 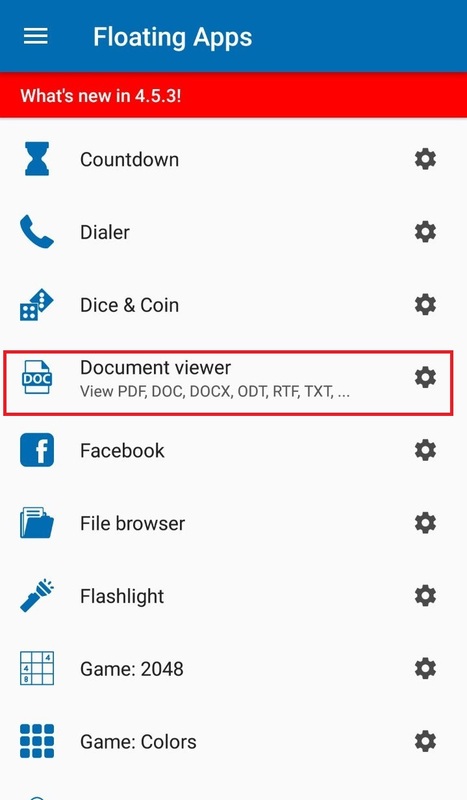 You just have to tap the document viewer option in the Floating App and browse your intended document file. 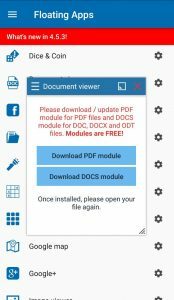 The PDF module supports PDF file format while Documents module supports the Microsoft Word’s Doc, Docx, RTF and OpenOffice’s (LibreOffice) ODT file format. You have the option of changing the appearance of this floating document viewer window, by taping the settings icon at the right of the Document Viewer option in the menu. You are allowed to change or remove the borders, the theme color, and the icon color. Apart from this, you can also change the back button functionality when the document viewer window is active. The shortcuts to this feature can also be added to the notification bar, floating icon menu, the app side menu, and the home screen. 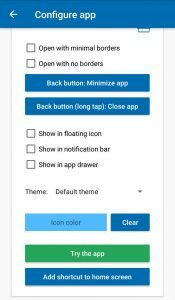 Now you can float your documents on the screen of your smartphone with this amazing feature by Floating Apps. The best part is that it is a very simple and convenient feature. Multitasking becomes easy while using the document viewer along with any of your running application.